The rebranding and Crossover terminology embodies the concept that the machines are able to cross over between modes, says Home. The unique machines are a top focus point for the company: “Robbins comes at this business with extensive rock experience so everything we design comes with the assumption that there will be tough conditions. 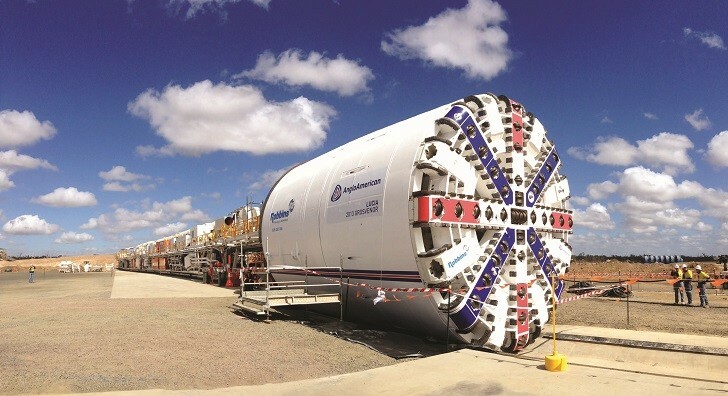 When you have to “cross over” to another mode then already you are in difficult conditions, and contractors need robust machines to get through these challenges,” said Robbins’ president Lok Home. Home foresees that machine sales will grow as more projects worldwide are planned in difficult and varying ground conditions. Survey results back up the trend, indicating an increased interest in Crossover-type machines worldwide.